There is a common mistake that I hear from HVAC and refrigeration technicians. “Hey man, can you front seat the compressor King valve.” It grinds my gears a little, only because the King valve has one distinct address on a system. The receiver outlet is the ONLY place you will find a King valve, that’s it! Funny enough, the valve mounted on the receiver inlet is named the Queen valve. The Queen valve is less common but can be used in conjunction with the King valve to isolate the receiver. If a service valve is found on the discharge line, it is a discharge service valve. If found on the suction line, it is a suction service valve. The King valve is unique in its position because it allows you to pump down a system by closing it and running the compressor until all, or most refrigerant is pumped out of the low side of the system and into the condenser and receiver. Most service valves, regardless of their name, have 3 distinct positions. Back seated position, mid seated position and front seated position. A refrigeration service wrench should be used to adjust these valves. Have you ever ran into a valve stem that is rounded? 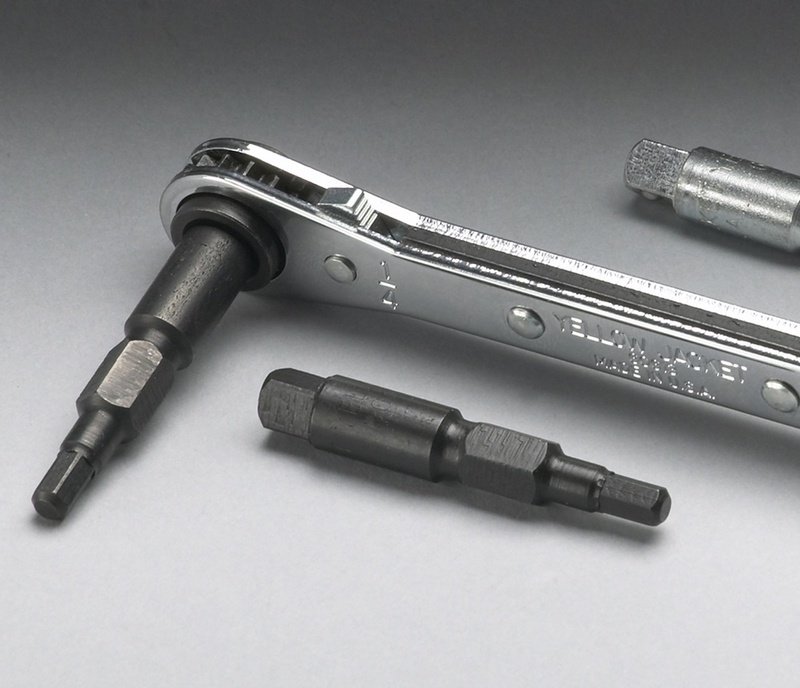 The most common reason for this, is someone most likely used an adjustable wrench rather than a refrigeration service wrench, if you don’t own one, get one….Seriously! Some service valves are equipped with a packing gland which prevents the valve assembly from leaking. The packing gland nut should be loosened slightly before adjusting the valve stem. Check out the video below for a more detailed explanation. Regardless of the job at hand, when working with refrigerants, be safe. Wear appropriate PPE, and use caution to avoid injury from refrigerant burn and pressure blow off.